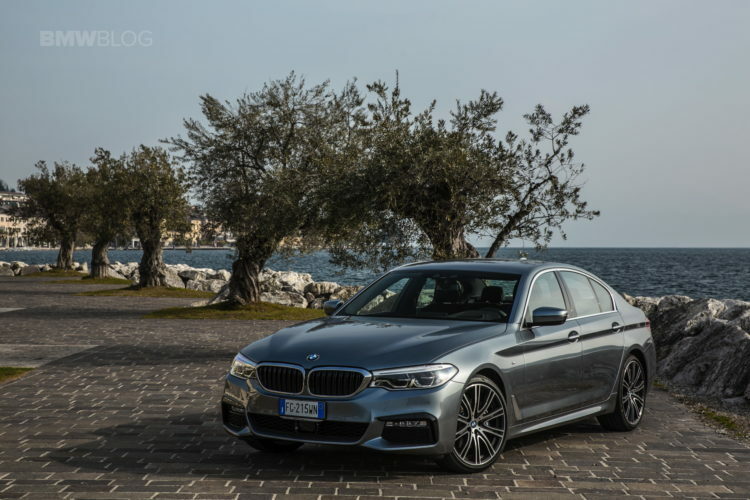 Ever since I drove the new BMW 5 Series in Napa Valley, California a little while back, I’ve been raving about it and how it’s the best car in its class. I’m not alone in this feeling, as there are many other journalists who feel the same way. However, there are some fans who just can’t imagine the new 5 Series being as good as it is. It’s sort of funny, some fans genuinely don’t believe me and it might be due to the lackluster dynamics of the previous-gen F10 5 Series. However, for those who don’t believe that the new 5er is best-in-class, just check this video. In this latest video from Autocar, they test the new Mercedes-Benz E350d AMG up against the BMW 530d M Sport xDrive. So both cars have turbocharged six-cylinder diesels, their brands’ respective sport packages and enough extra options to shame a brand-new VW GTI’s price tag. First, we start out with the Merc. It looks reasonably good on its AMG wheels and with its AMG sport package but it comes off as more boring than the 530d, which is a bit surprising because the new 5 Series isn’t the most exciting looking car ever. On the inside, though, the E-Class is all flash. With its fake carbon fiber to the almost ludicrous amount of ambient lighting, it’s like a nightclub come to life. Admittedly, the design is really nice and the materials are top notch. However, the ergonomics aren’t the best, with some buttons being completely out of reach, the infotainment system being difficult to use and some functions being buried in sub-menus in the screen. Though, the Merc seems to handle well, with good steering and plus body control. They even get the tail out a bit and it seems pretty controllable. It’s also a bit more comfortable and relaxing than the 5 Series, as all Mercedes’ tend to be. However, step into the 5 Series and its cabin is actually more comfortable, with better seats and a more sensibly laid out interior. 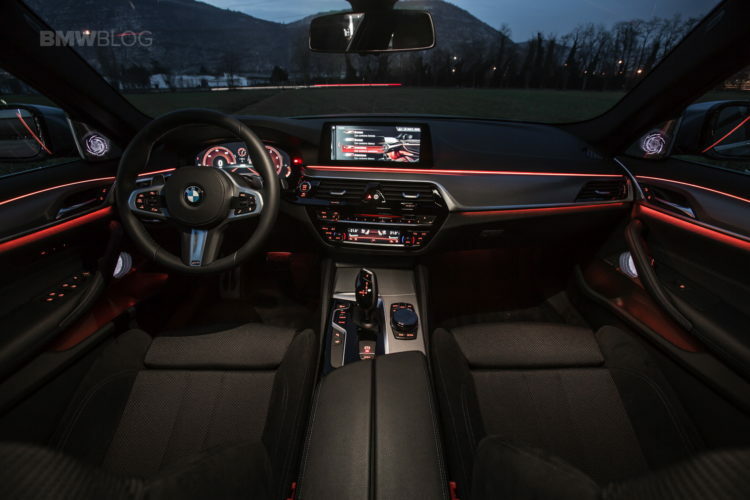 You can tell that BMW designed its cabin to be more functional than flashy. It still looks very nice, though, and the materials are top notch. BMW’s new iDrive is also leaps and bounds ahead of Mercedes’ COMAND system and is not only easier to use but comes with additional functionality. It’s a cleverer system than the Merc’s, without a doubt. 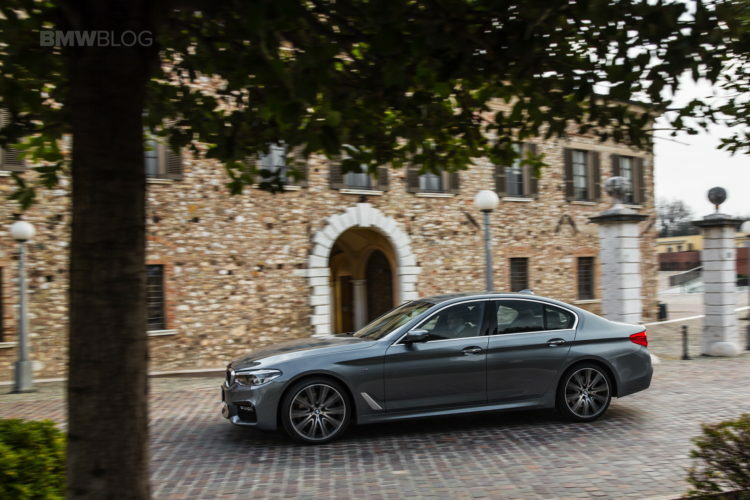 In terms of the way it drives, the new 5 Series hits that perfect sweet spot of driving dynamics and comfort. It’s more fun to drive and more exciting than the Mercedes and more luxurious and comfortable than, say, a Jaguar XF. It’s the Goldilocks of the premium midsize sedan segment. In the end, Autocar picks the 5 Series as the better car of the two, with both testers unanimously agreeing that it’s better than the E-Class, despite both of them liking the E-Class quite a bit. While the Merc is good, the new 5 Series is better and — Autocar’s words, not mine — it’s the new benchmark for the segment. Not since the E39 has the BMW 5 Series been so revered.